You've never found denim shorts this comfortable and flattering, and that's because this pair features design technology that molds, sculpts and shapes. 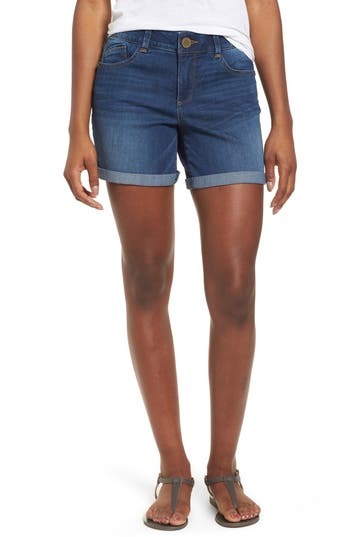 Style Name: Wit & Wisdom Ab-Solution Cuffed Denim Shorts (Regular & Petite) (Nordstrom Exclusive). Style Number: 5517506. Available in stores.